Whether it’s a new patio or a decorative feature wall on the agenda, with summer fast approaching, there is no better time to make a start on creating your dream garden. 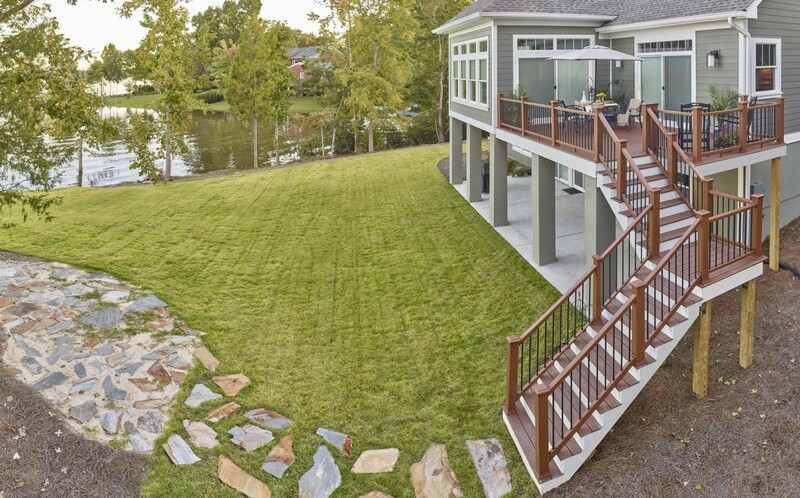 Lee Dunderdale, product manager for Bradstone, shares his design considerations for homeowners looking to re-design their garden this summer. Always keep your objectives in mind – when you stay focused on exactly why you’ve given yourself the green light on your project, you’ll be able to stay on track and keep a tighter rein on your budget. It sometimes helps to put together a basic drawing of what you’re hoping to create so you can share your vision with your installer or paving supplier. Patio positioning and privacy – Think about where the sun is at different times of the day in your garden and whether there’s any view you want to be able to enjoy. It’s also important to check whether the furniture you want fits in the area with plenty of room to walk around. 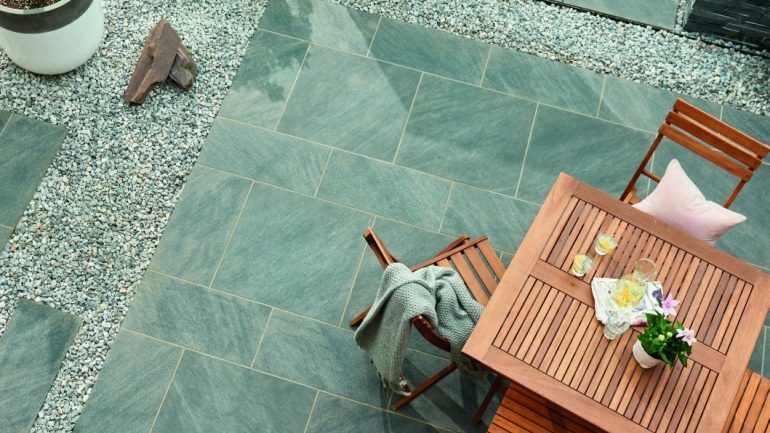 Choosing materials – When planning your patio, are you opting for porcelain, natural stone or concrete? Each material will help create a completely different look, so research the advantages they each have and decide which suits your home and lifestyle best. If you were thinking of timber decking, why not opt for Bradstone’s Madera Antigua paving which looks sleeker and doesn’t come with the required maintenance of wood. Don’t forget the technical bits – It’s easy to get carried away with the aesthetics of the garden, however if you are installing a patio yourself, take some time to consider access to your property, trees and drainage. The advantages of using a Bradstone Assured installer is they will ensure all groundwork and building regulations are covered. Set a budget – set a limit of what you’re prepared to spend and stick to it. But don’t forget to factor in the cost of a professional installer if you’re going to be using one. It’s worth remembering that only 20% of the total project cost is spent on product, as this avoids any surprises further down the line.